Book report is one of the most important ways to test your knowledge of an assigned book. Still, since book reports require writing, students who lack proper writing abilities will not demonstrate their writing talents and therefore, may not get a good grade even if they actually read the book. 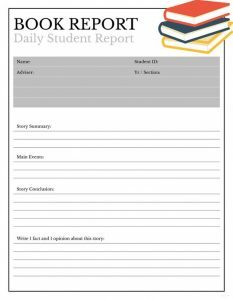 Book reports are descriptive essays covering a book. 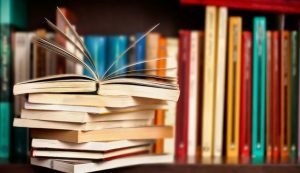 It is represented by the question “What is the book about?” Book reviews, on the other hand are expected to be more persuasive, therefore, they are represented by the question “Why should a reader read or not read this books?”. Book reports and book reviews, both have summary and commentary sections. 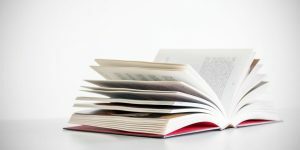 Book reviews allow students to show what they have read and how they understand the book, while book reports allow students to demonstrate their good memory of the text, and factual information.Most professors may require their own specific format for a book report, so it is always a good idea to check what they expect, first. The general structure of a book report or a book review is presented below. Introduction. This part introduces the book, and provides some basic information about it. A students should always include in the introduction book report the following information. Body of a book report. For fiction writing or other creative writing. One should briefly describe the settings of the book, the point of view of the narrator, the protagonist and the main characters. If the book has some peculiar mood or tone, the student should discuss those peculiarities in the body part of a book report..
For non-fiction writing. A student should provide a brief and general overview of the author’s topic, the main points and arguments. Then it is necessary to present the thesis and the main conclusions made by the author. Full summary of the book is not necessary. On the contrary one should select the most significant and interesting episodes and focus only on those in your book report. Had the author achieved his purpose in the book? How can you evaluate the writing? Is it effective, powerful, attractive, difficult, beautiful? What are the pros and cons of the book? What are its strengths and weaknesss? For non-fiction books, mention the author’s qualifications to comment on the chosen subject. Is he compentent enough to say what he says? Do you agree with his arguments and conclusions? Present your overall response to the book. Was the book interesting, moving, dull? Would you personally recommend it to your friends? Why or why not? Conclusion. Make a conclusion by bringing all the major thoughts together. It is a good idea to mention that impression the book left in you. Also you may want to note why you would recommend (not recommend the book) to the reader and some the important things that you think the reader should know. EssayPlant.com professional writers can assist you in preparation of your Book Reports. Their writing experience allows them to grasp the topic and quickly develop a successful book report or book review. Do not procrastinate, order custom Book Report now!